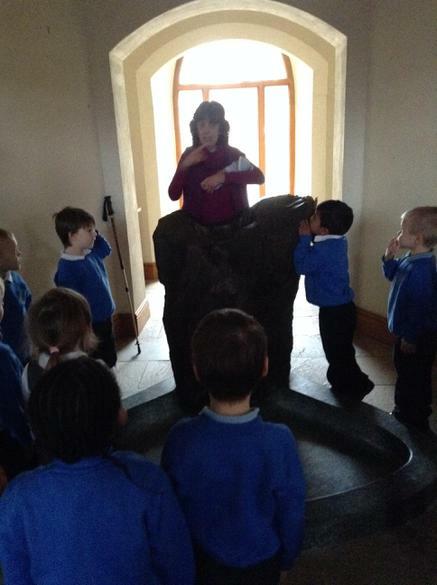 Collective worship is a very important part of our school day. 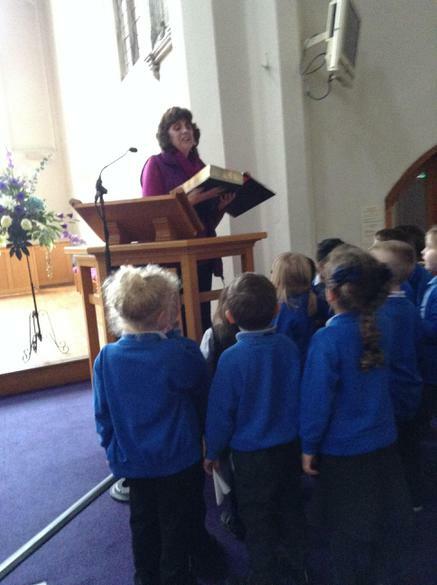 We gather to sing hymns, learn about the Bible and Jesus' teachings and we also learn about our Christian Values and their biblical origins. 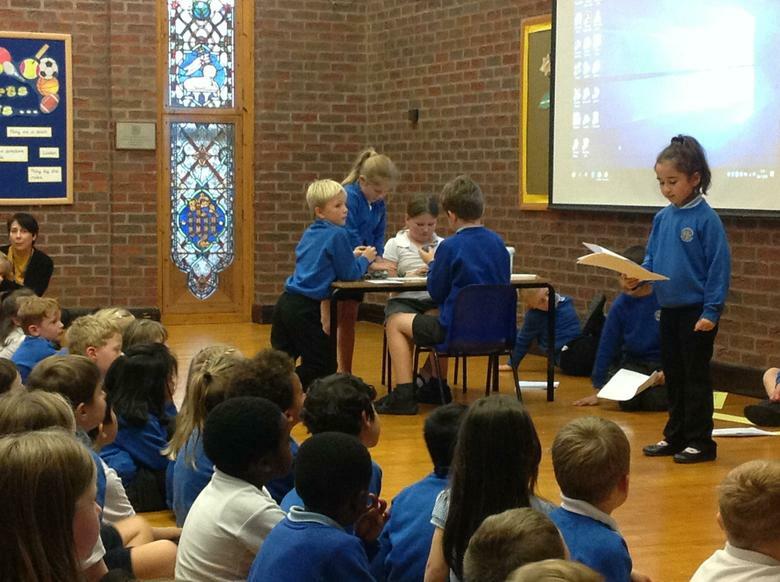 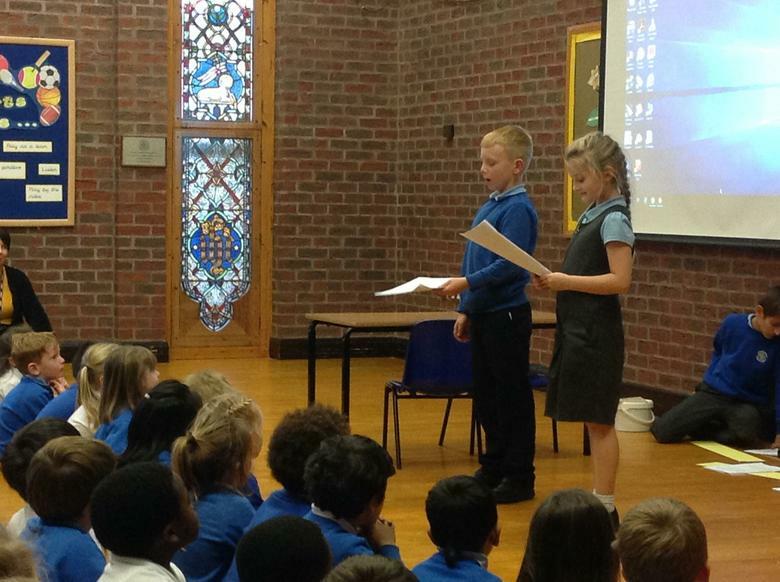 We also learn about God the Father, the Son and the Holy Spirit and we end our assembly with a prayer. 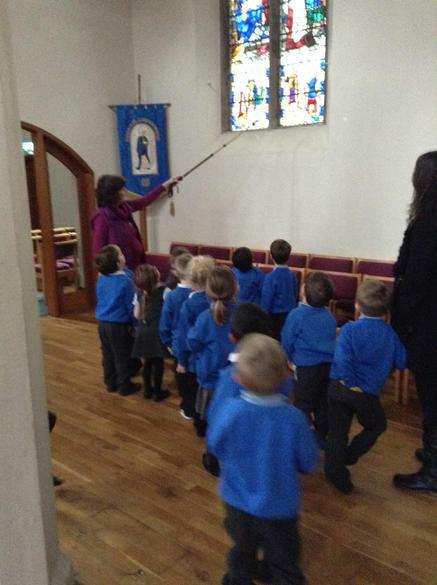 Children will also say The Lord's Prayer. 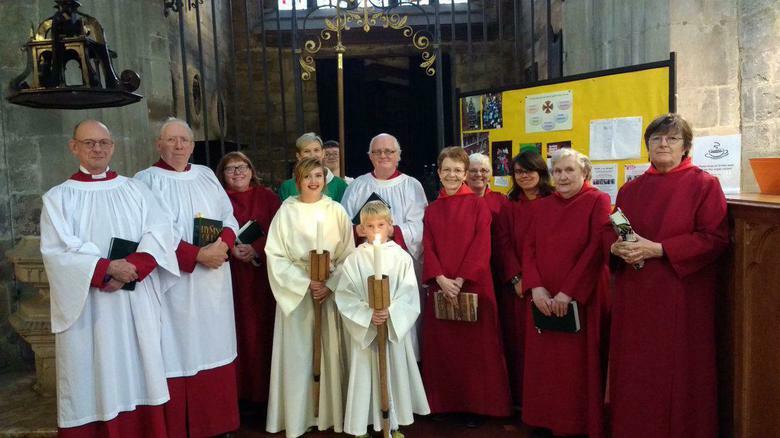 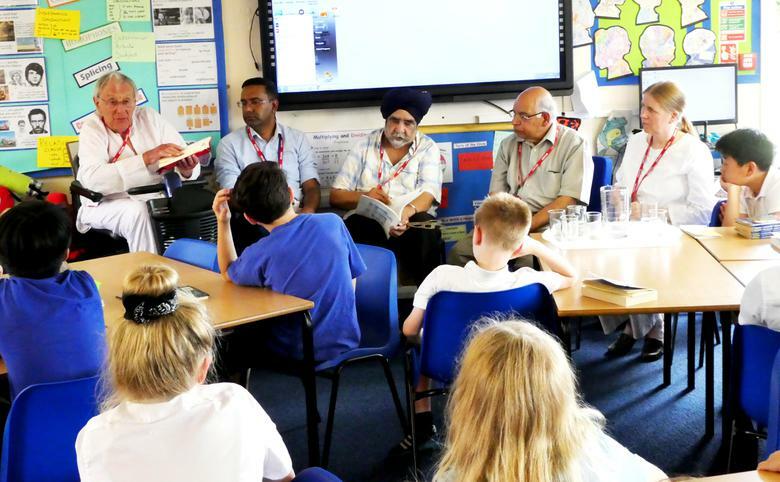 Clergy assemblies are held every Thursday morning when leaders from a range of churches within the Loughborough Churches Partnership will come in and lead whole school Collective Worship. 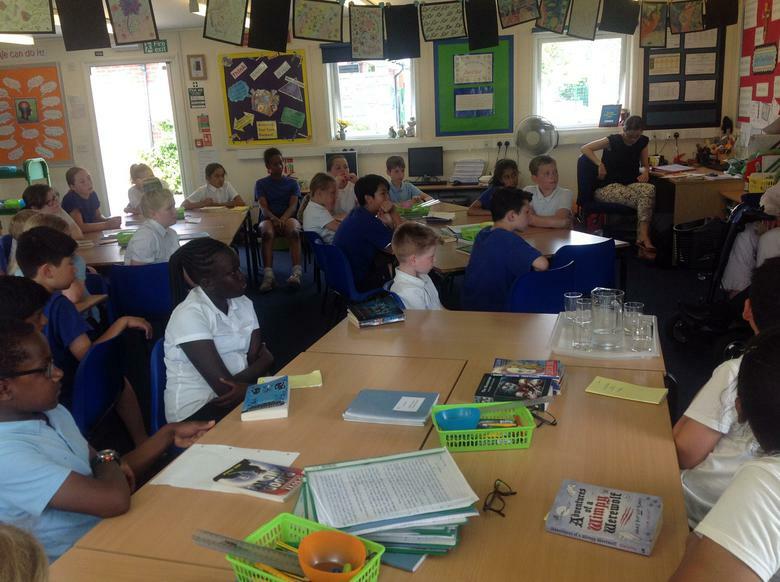 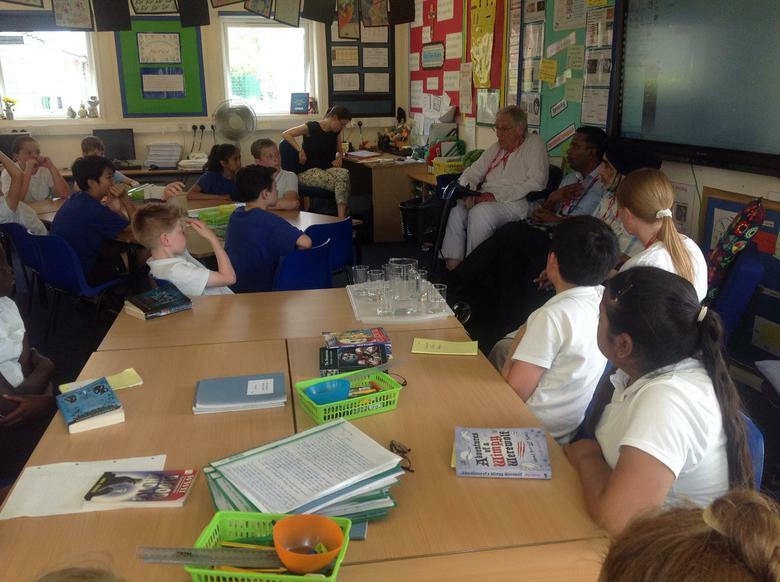 After assembly has finished a group of 12 children from KS2 spend 20 mins talking with visiting ministers. 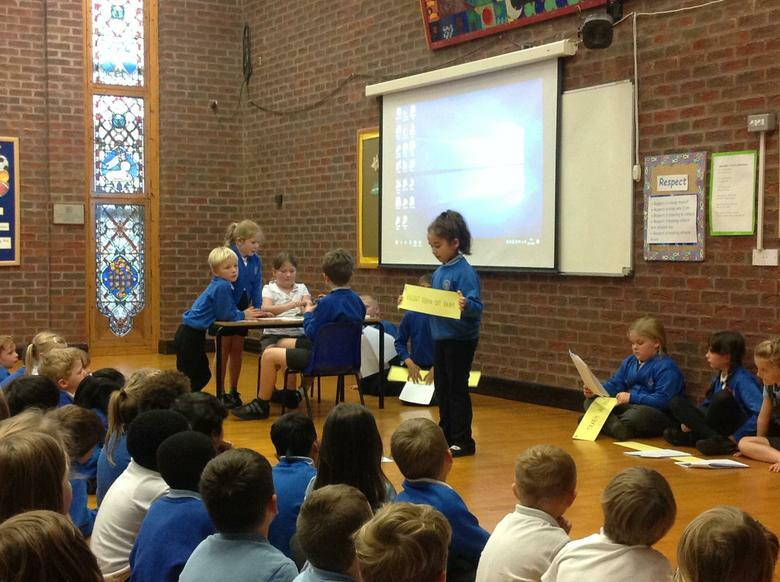 This is a question and answer session in response to the morning assembly. 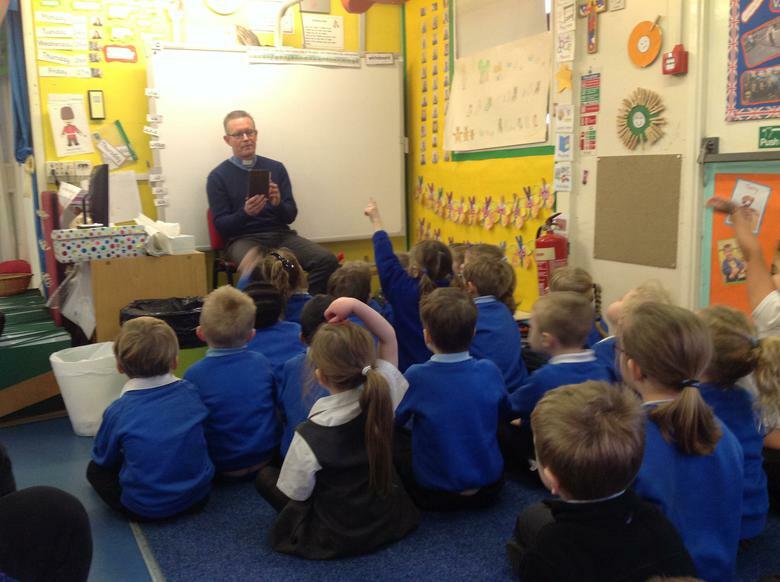 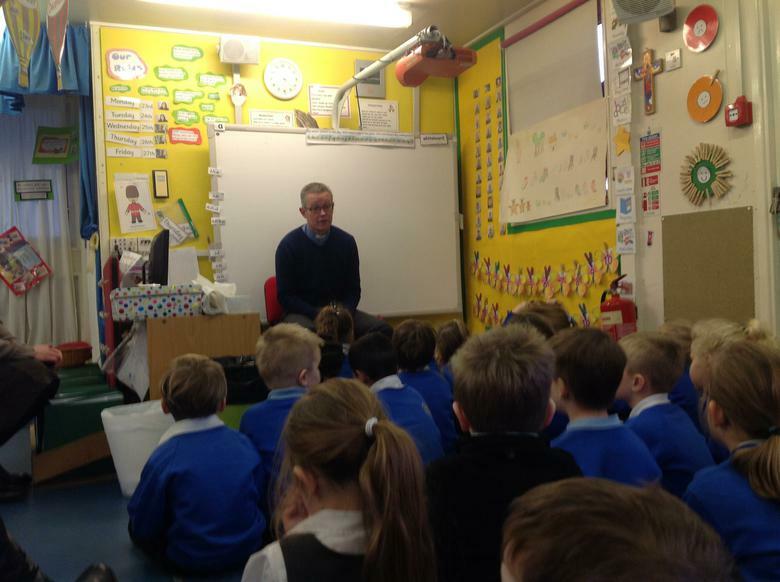 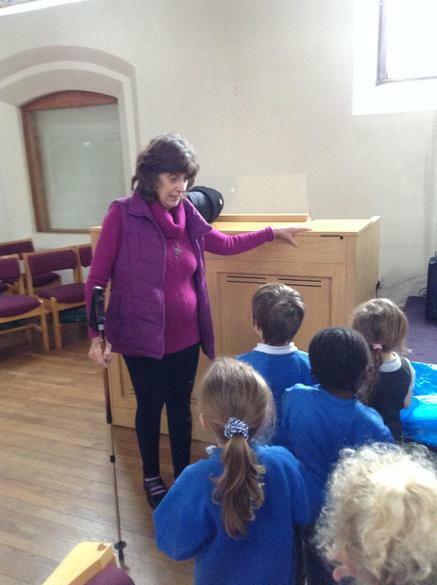 The children ask questions about the faith and life of the visiting minister as well as exploring their own faith. 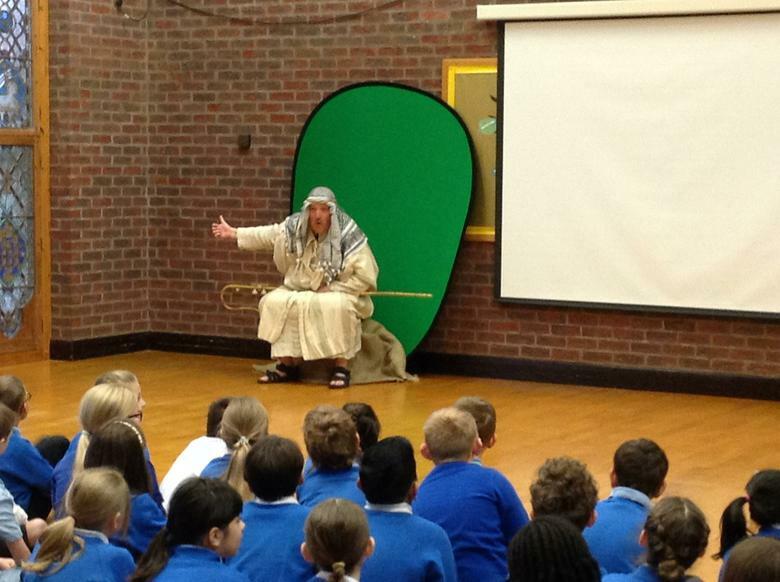 The Soar Valley Project and Prayer Space visited school to perform 'Christmas Just Got Real'. 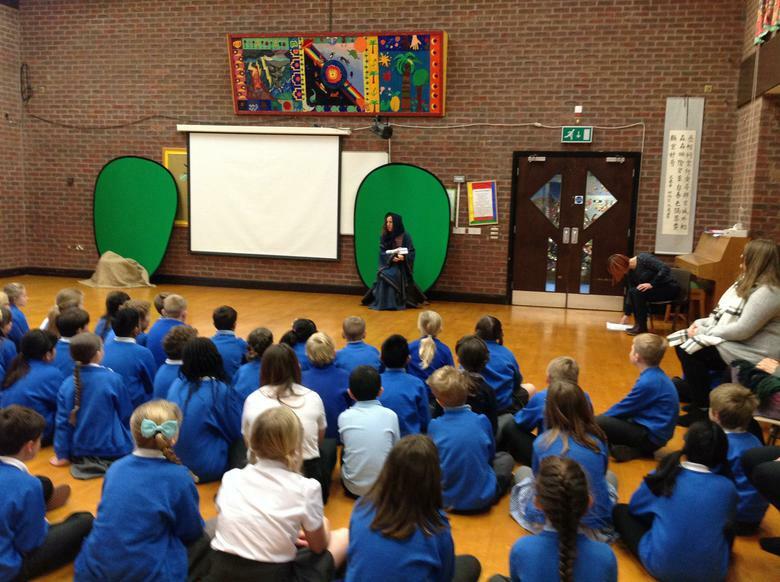 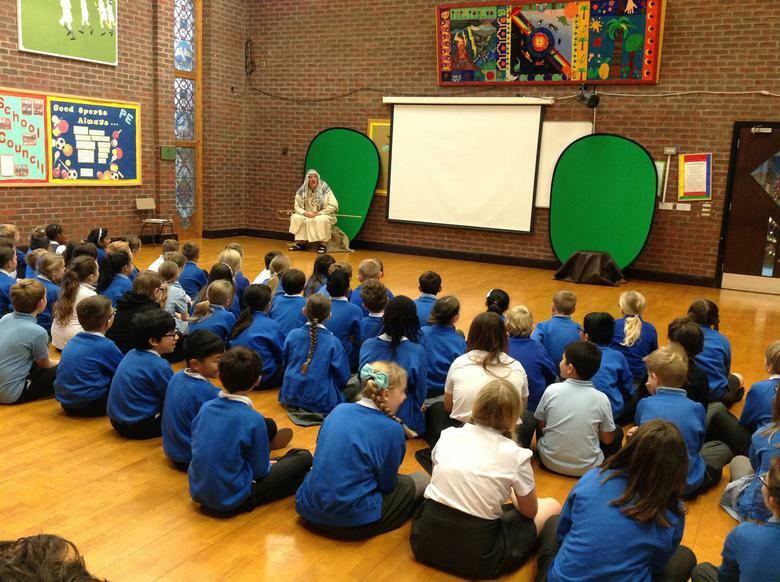 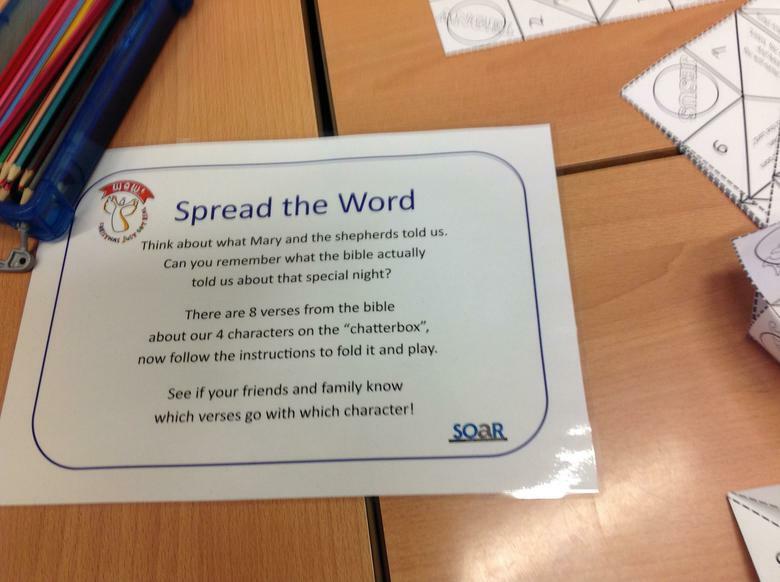 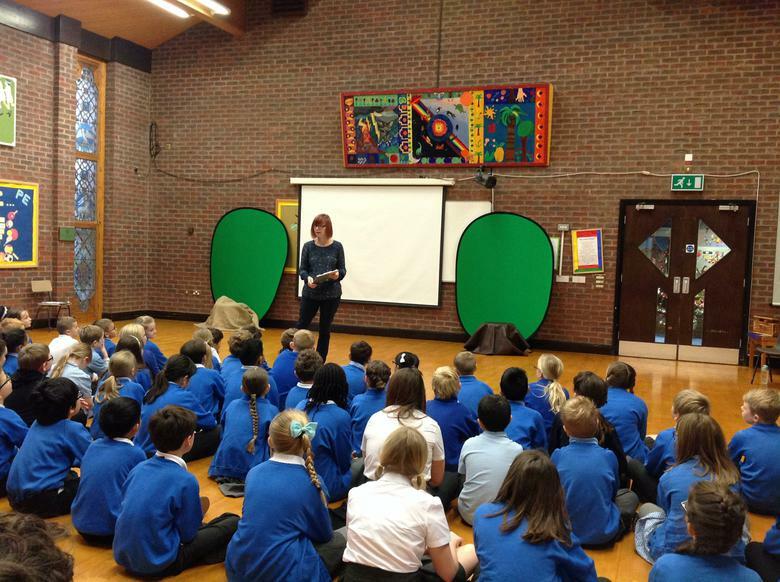 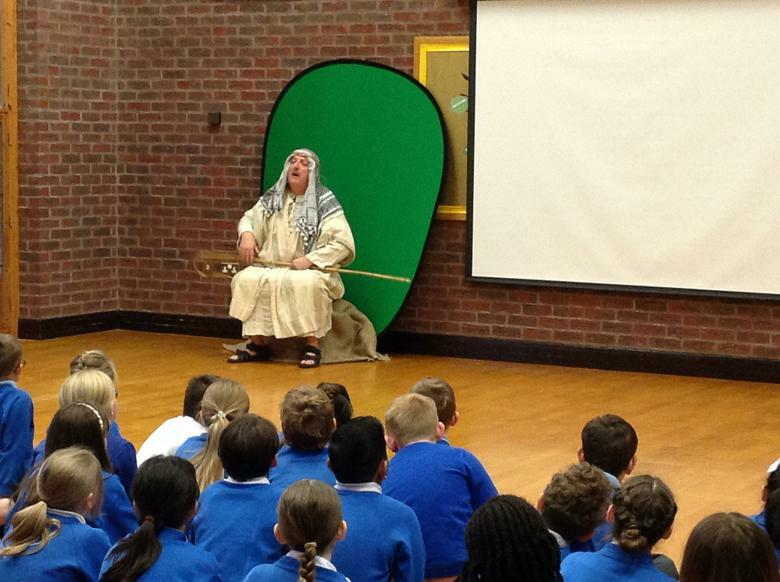 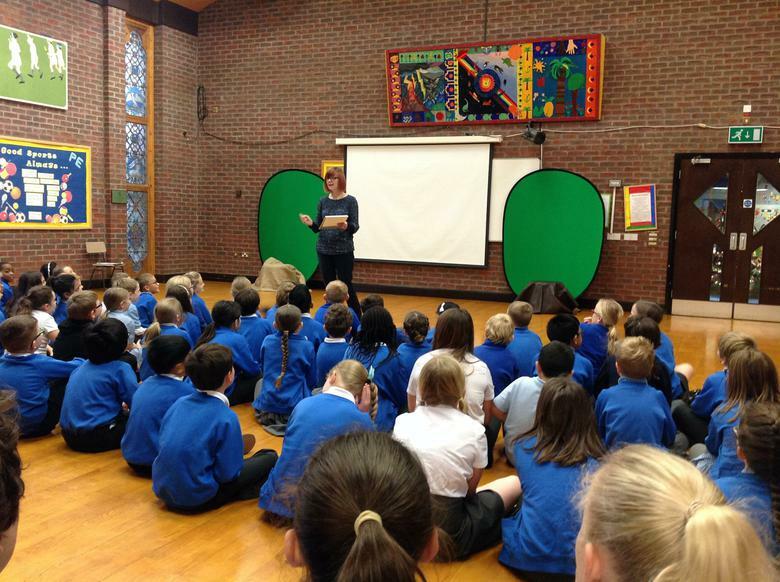 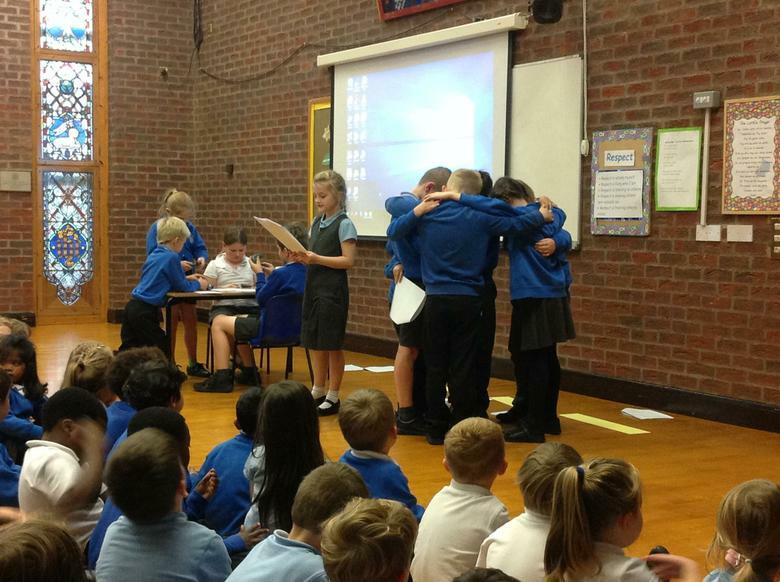 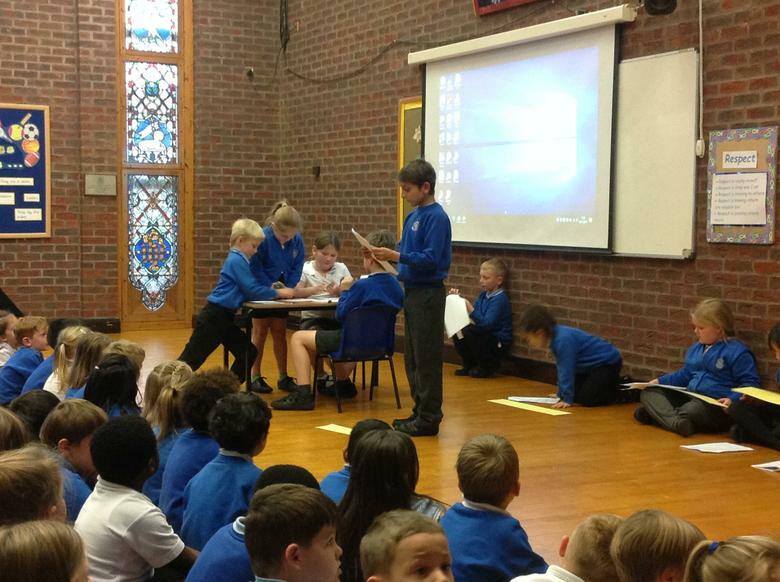 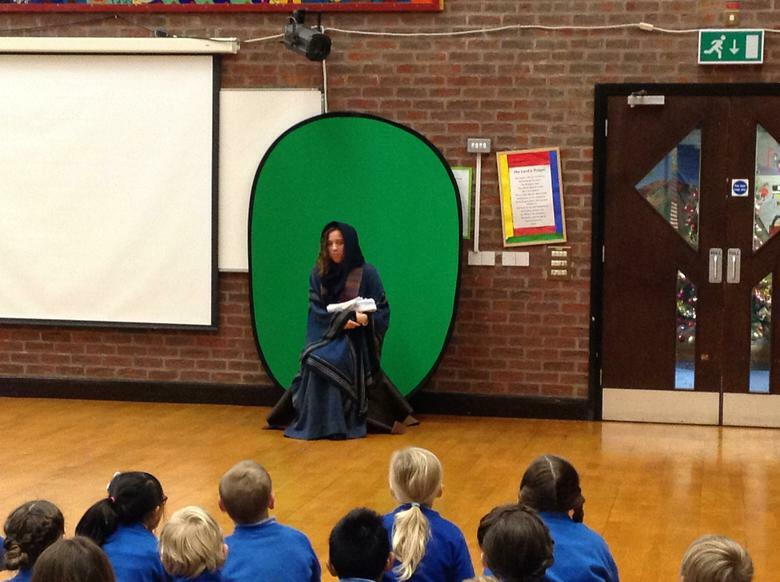 This involved an assembly where the stories of Mary and the Shepherds were told. 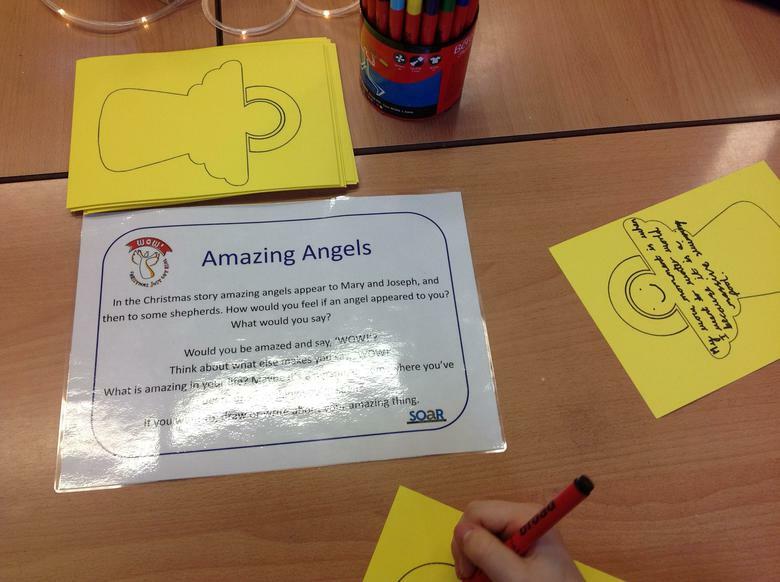 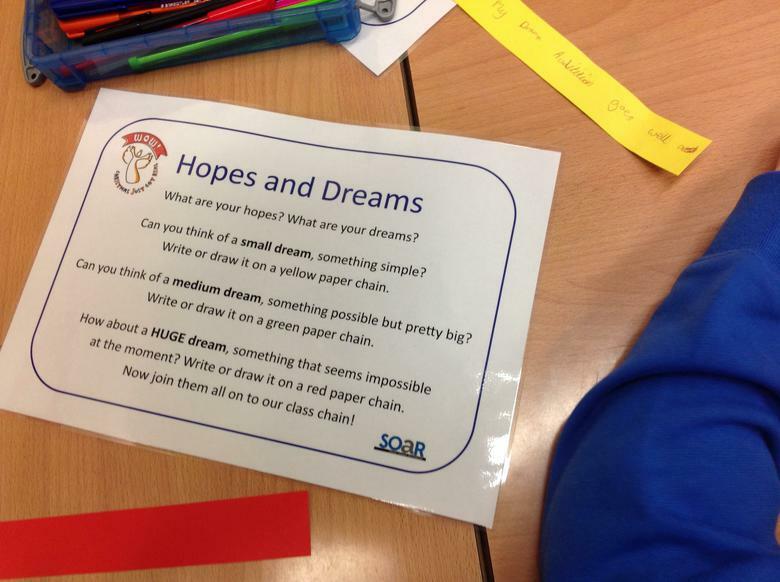 Year 3 and 4 then carried out activities in the classroom reflecting on the meaning of Christmas and our hope for the future. 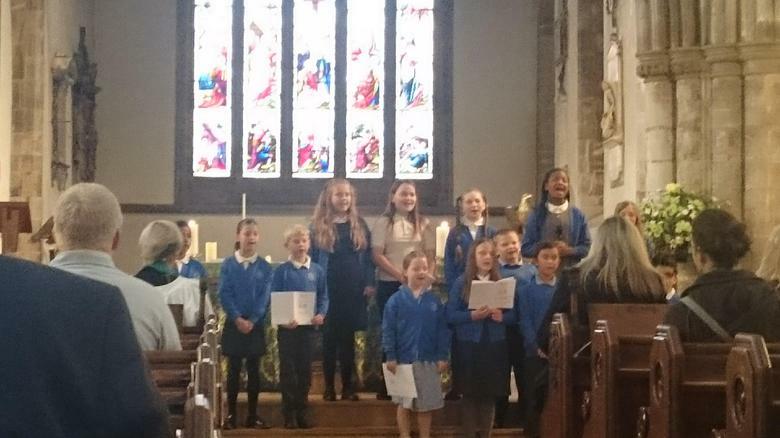 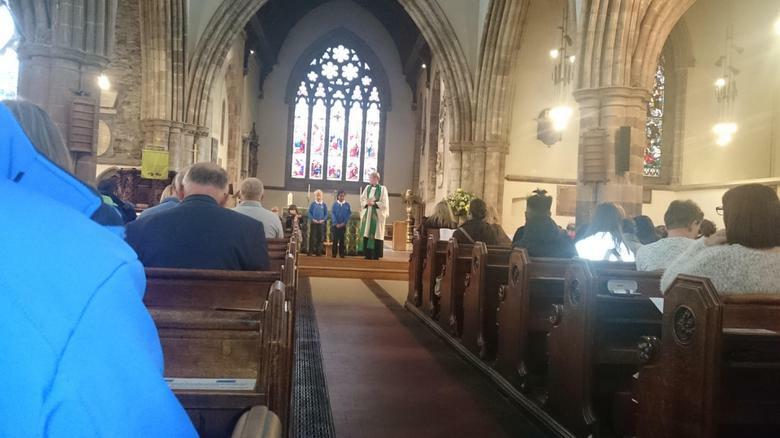 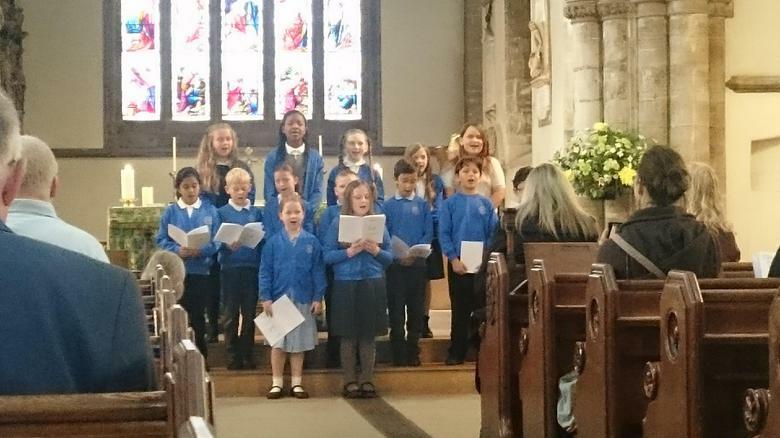 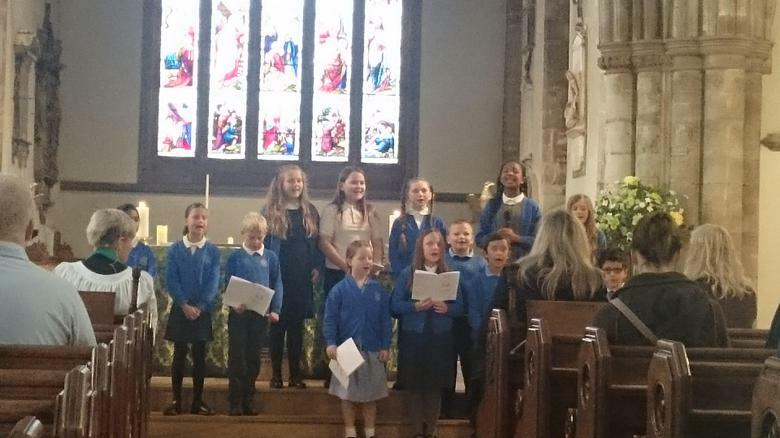 On Sunday 17th September staff and children attended All Saints with Holy Trinity Church to celebrate the links between the church and our school and to recognise the great church school that is at the heart of the community. 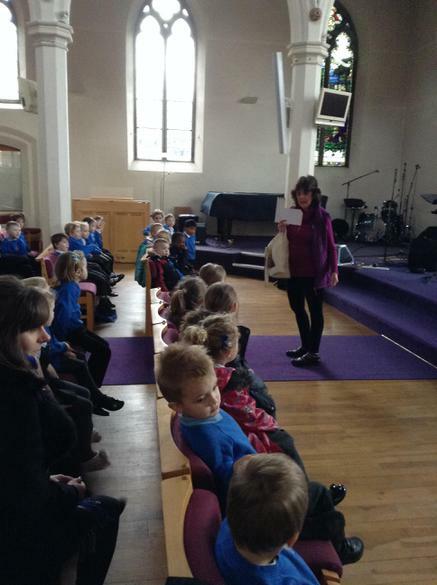 Mrs Wakefield spoke to the whole congregation about our school and our christian ethos. 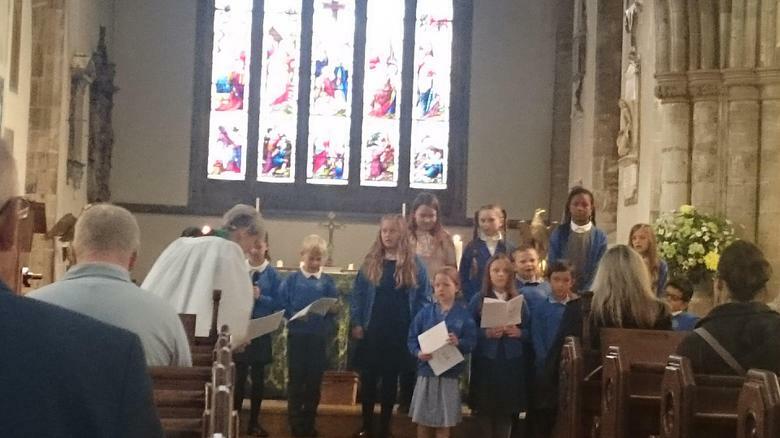 The children also sang and delivered prayers during the family service. 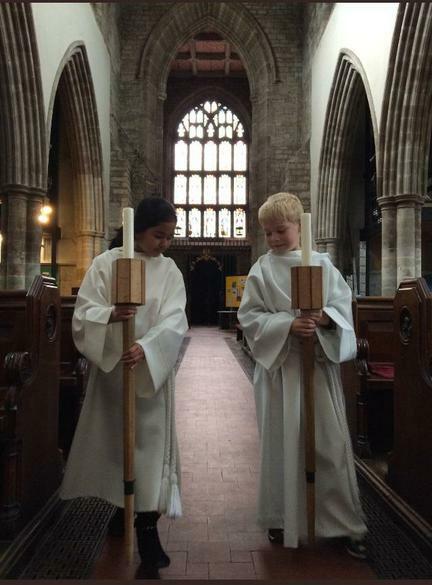 Two of our children are servers at the Parish Church. 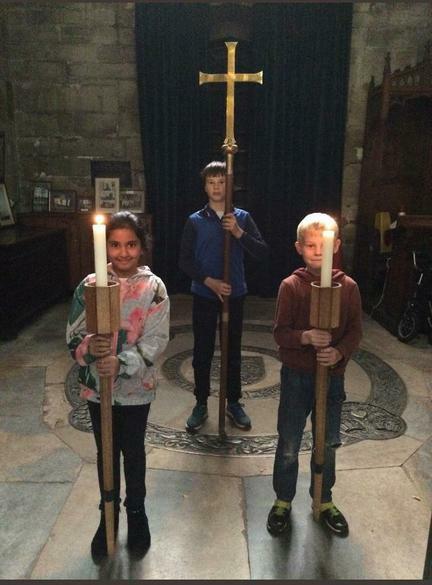 Their job as Acolytes is to light and carry the candles. 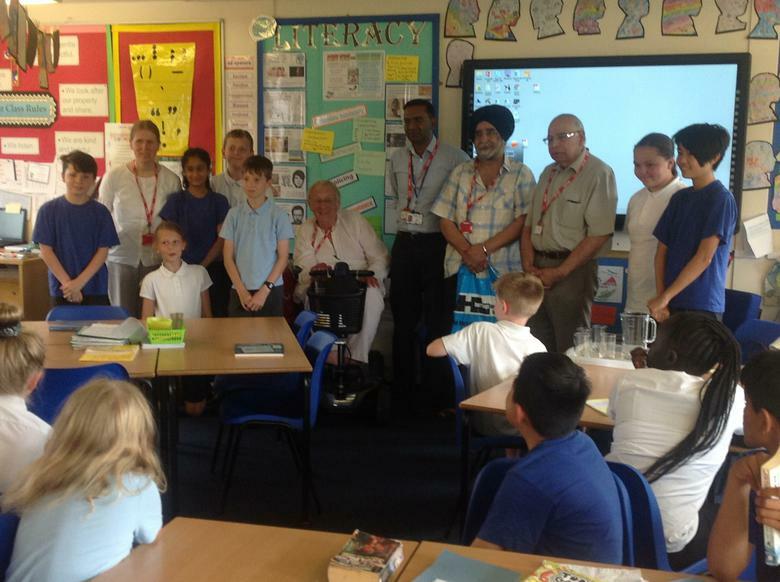 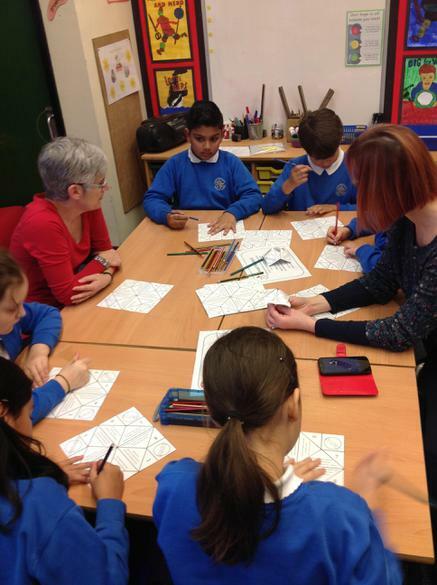 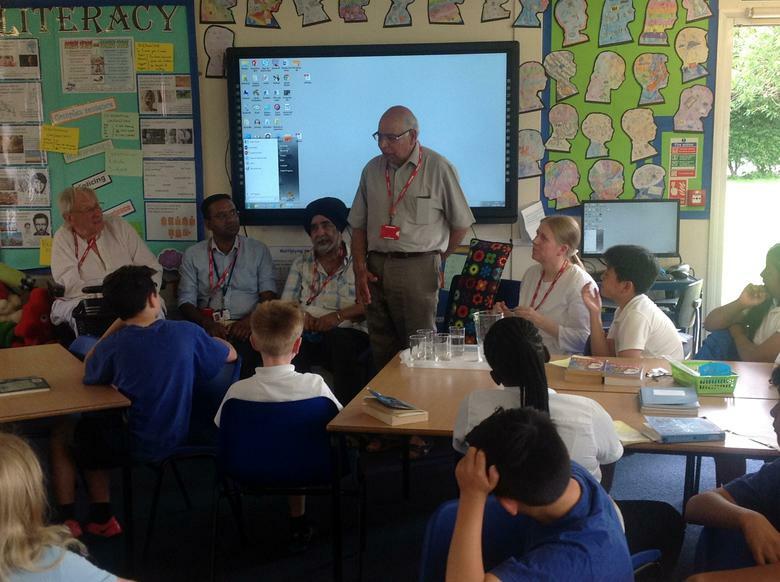 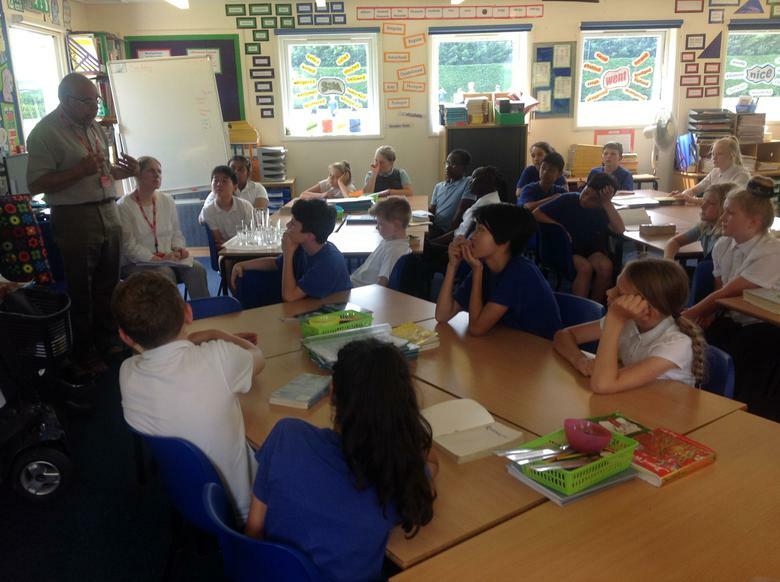 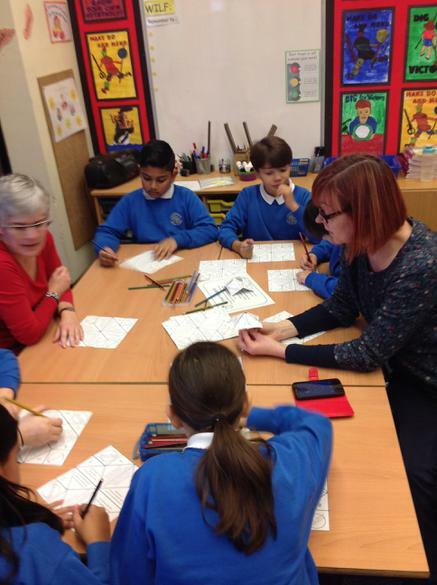 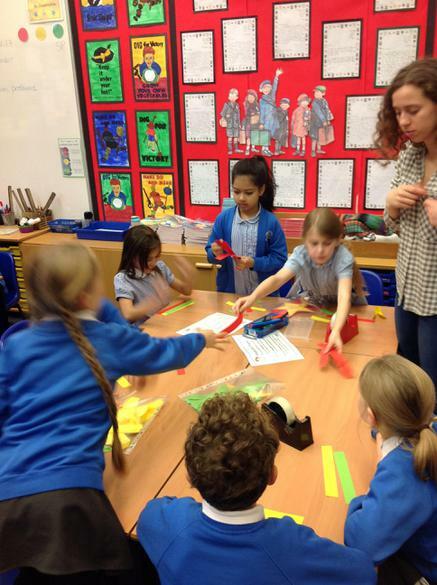 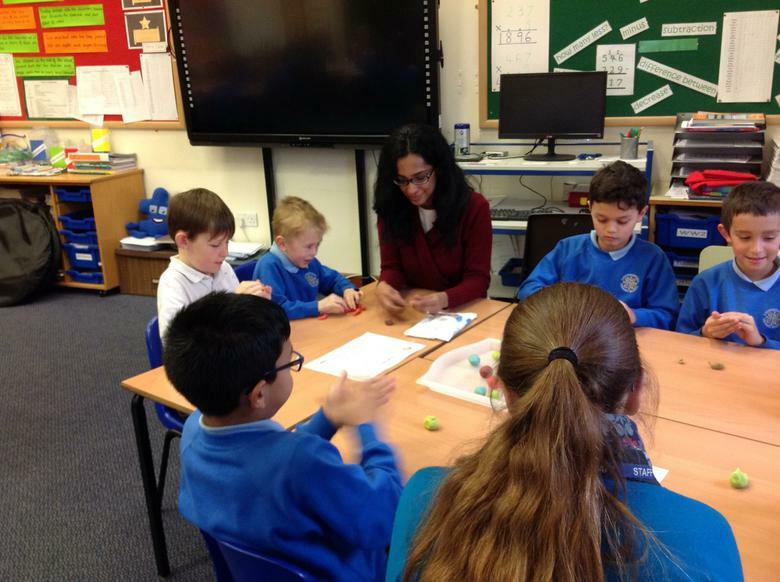 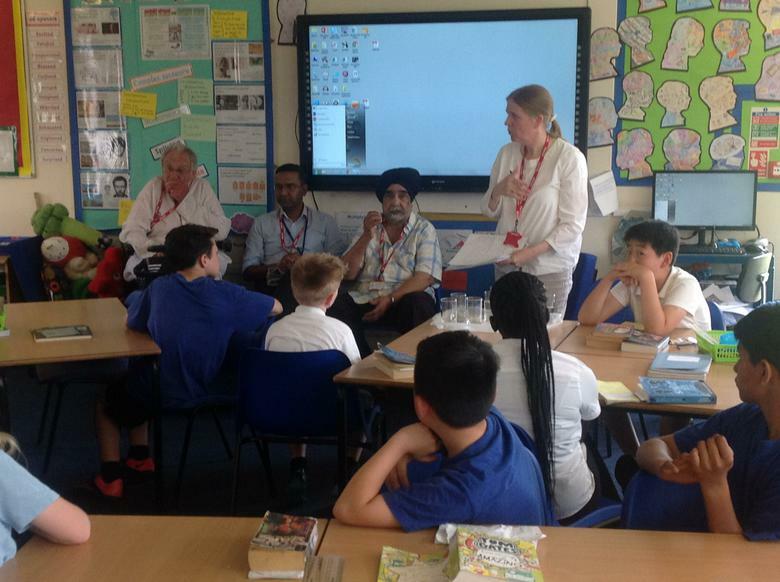 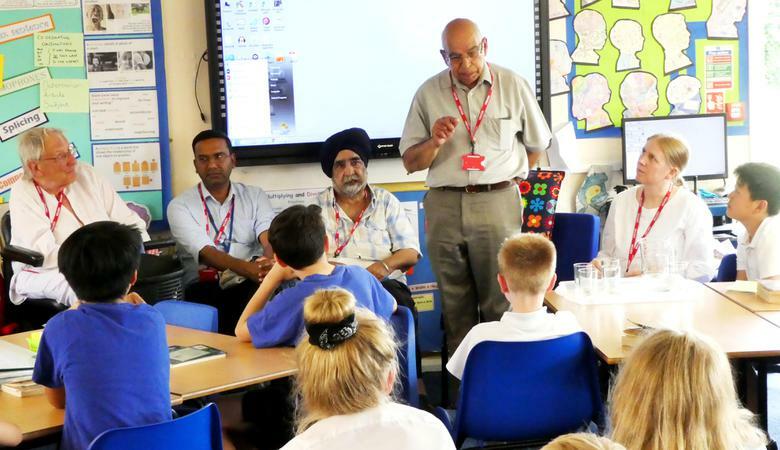 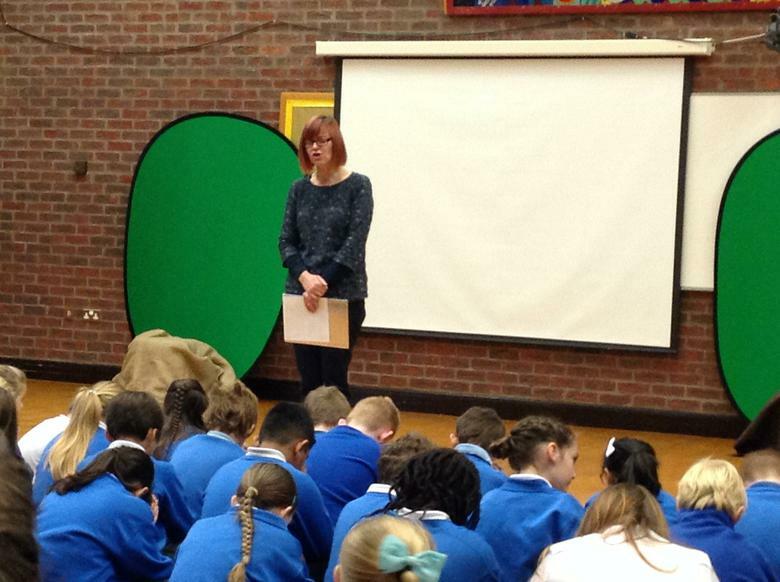 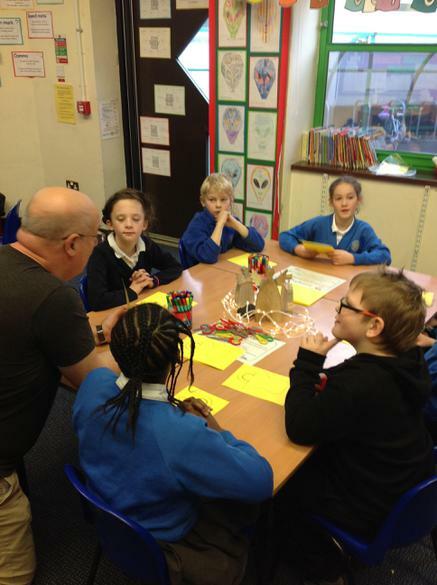 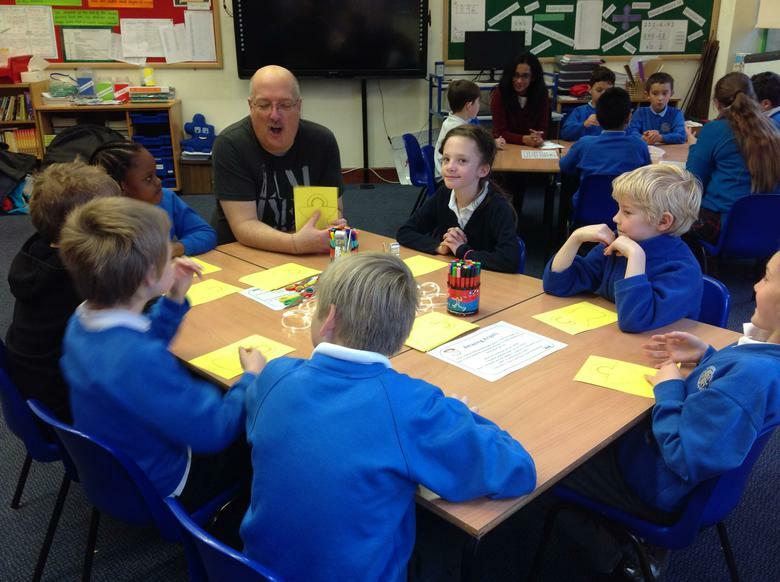 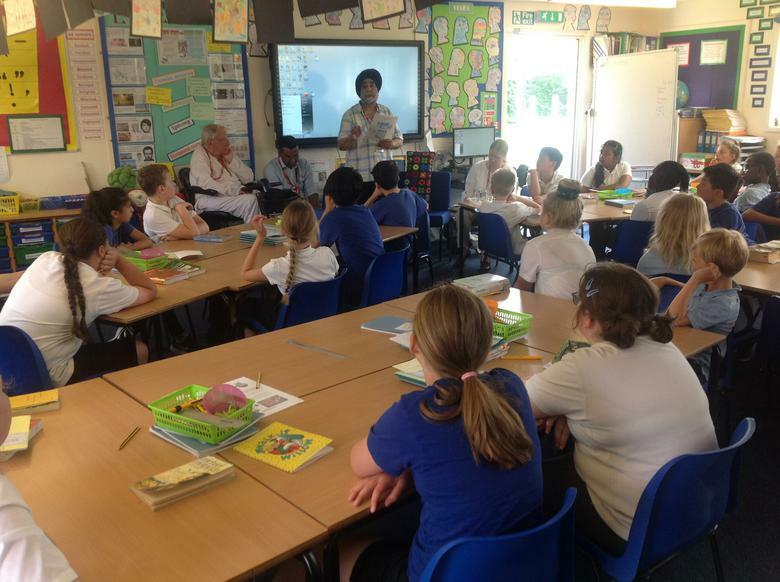 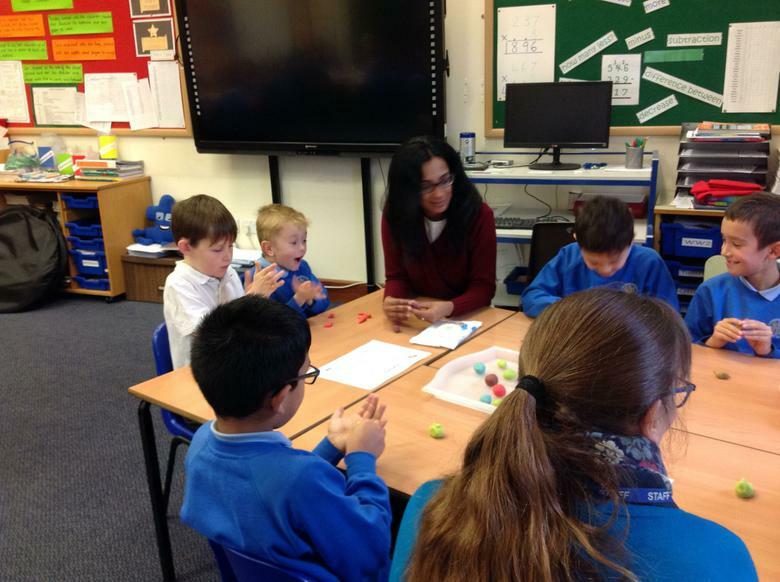 Year 6 were visited by a group from the L'boro Council of Faiths. 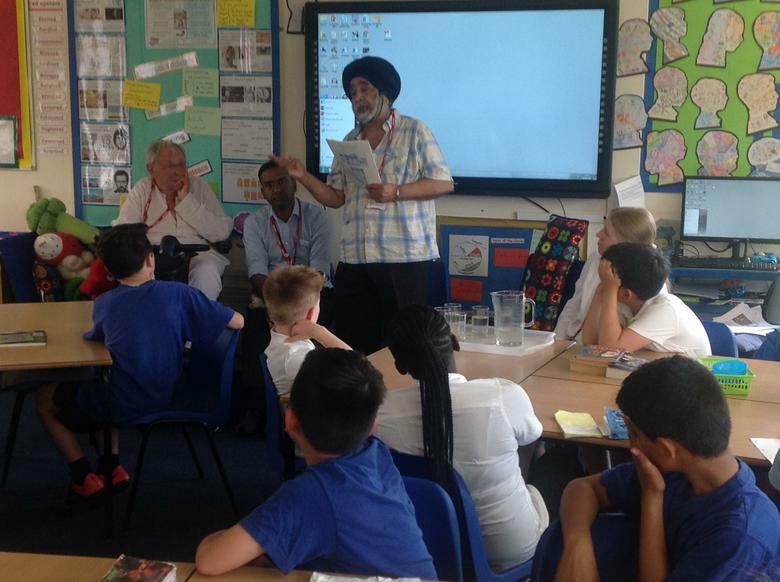 There were representatives from the Muslim, Sikh, Hindu and Christian faiths. 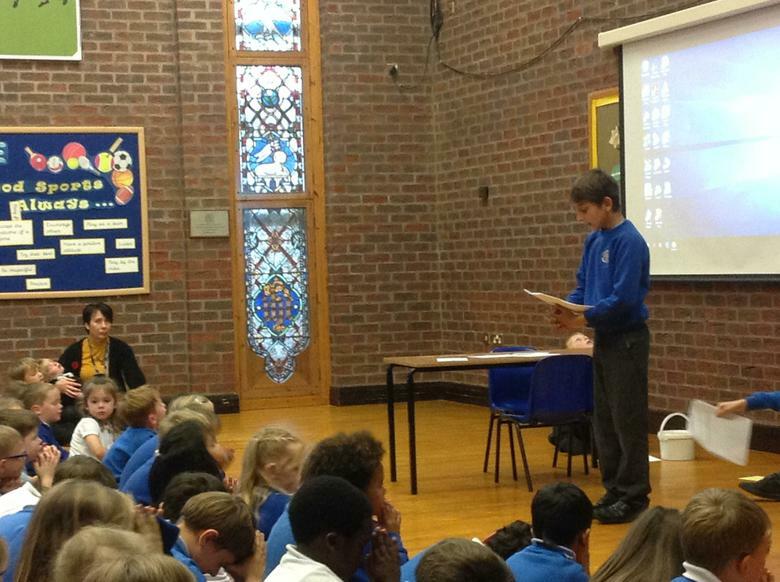 Each representative introduced themselves and explained a little about their faith and why it is important to them. 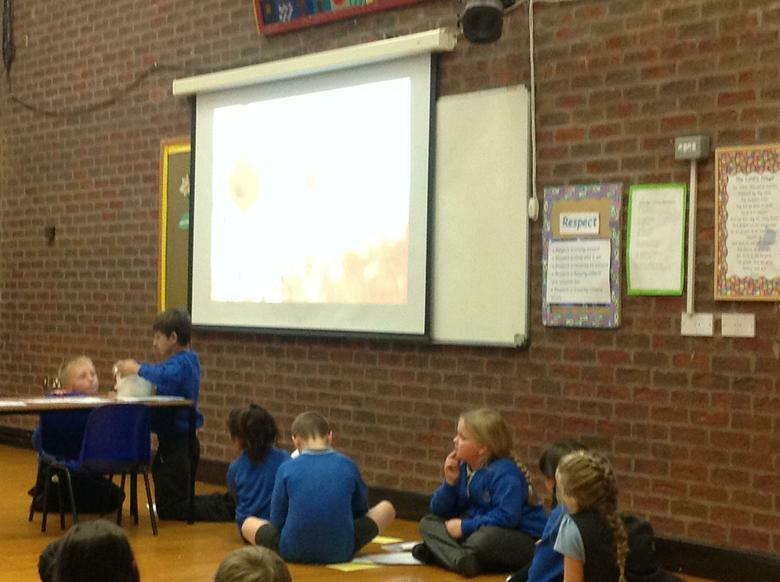 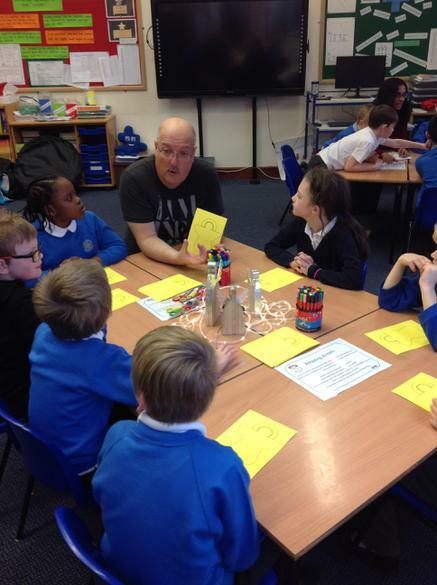 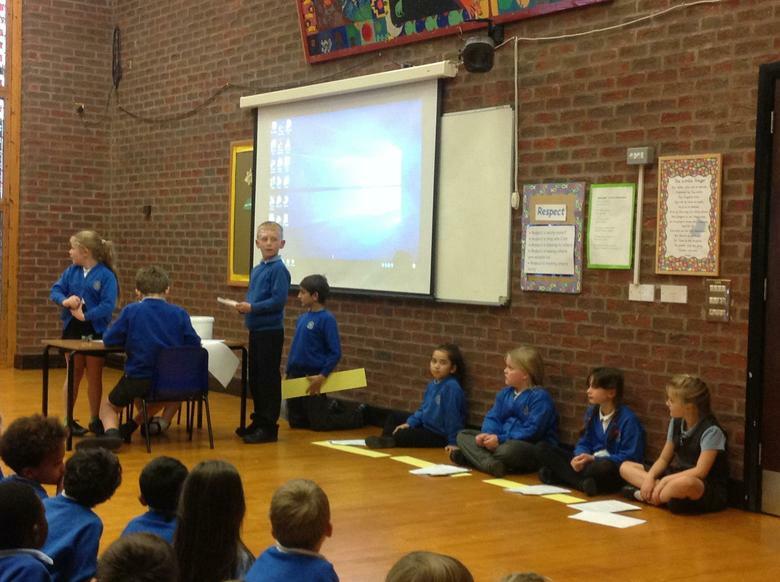 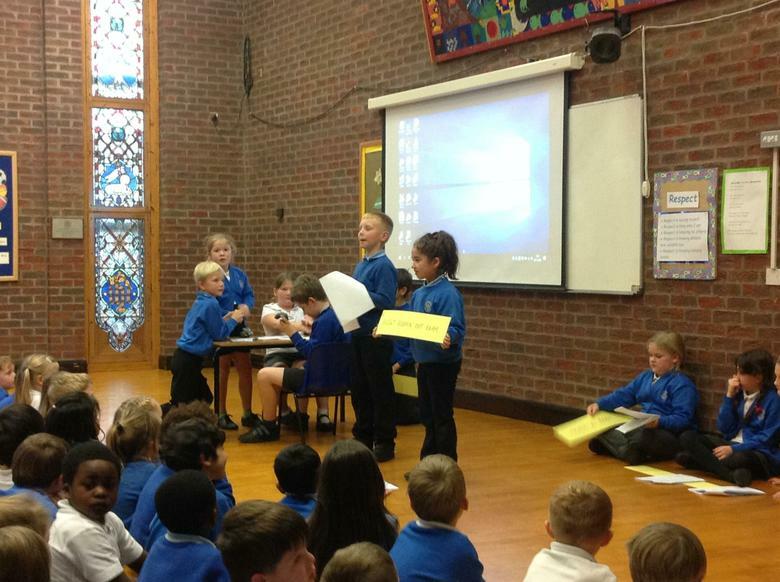 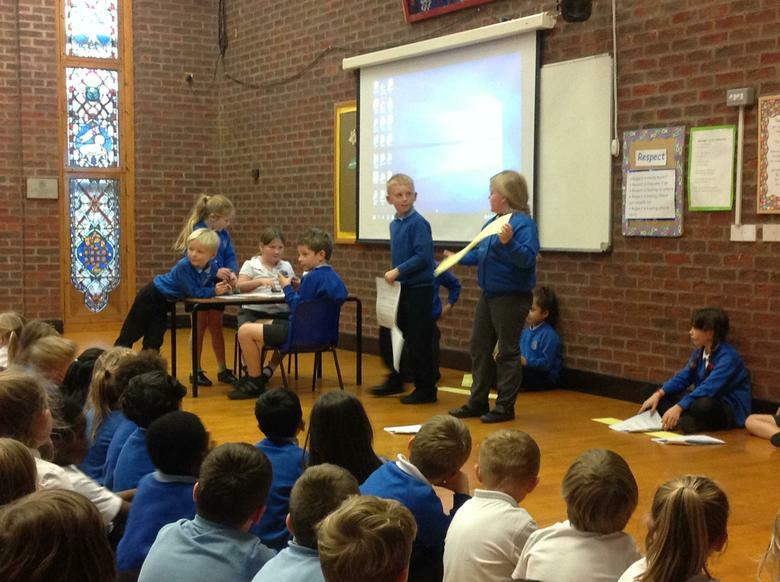 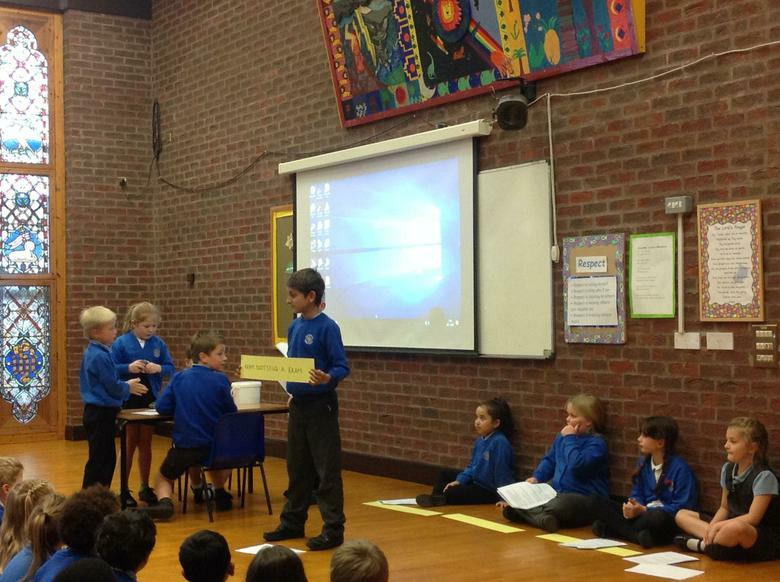 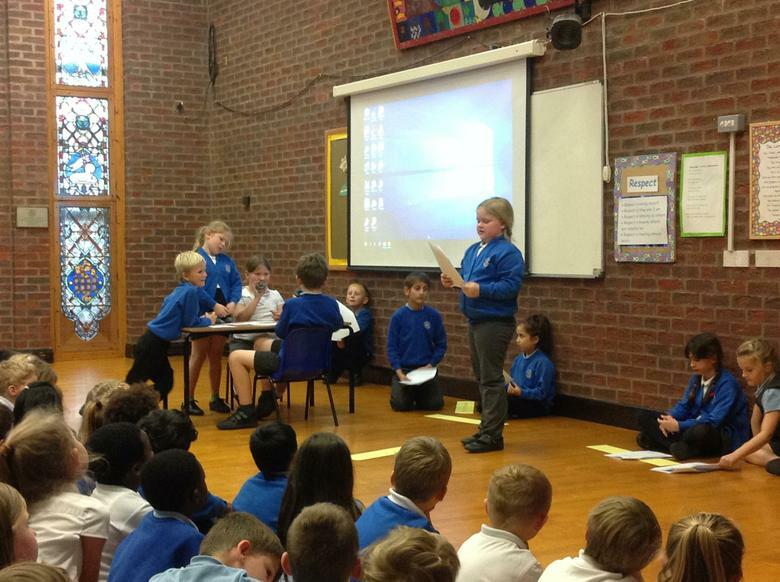 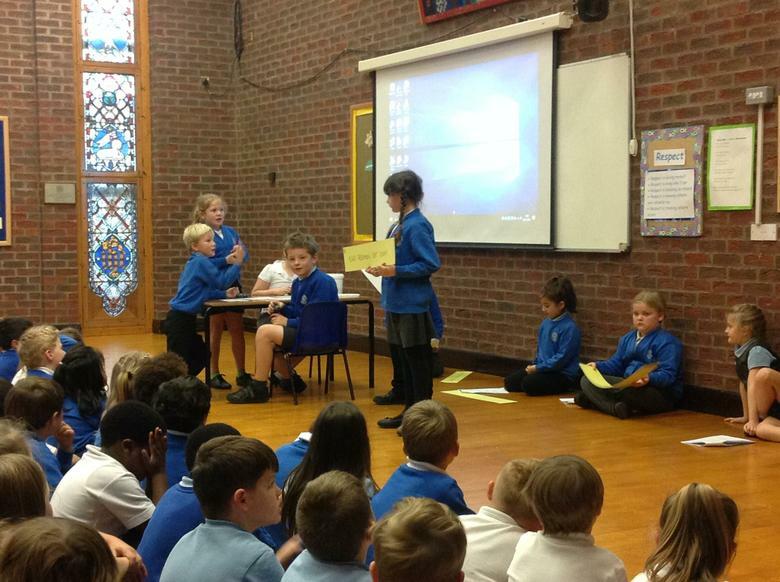 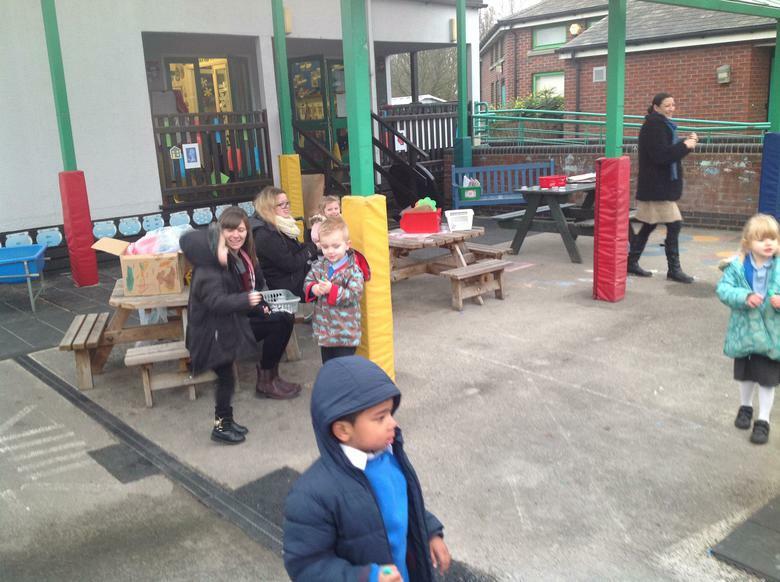 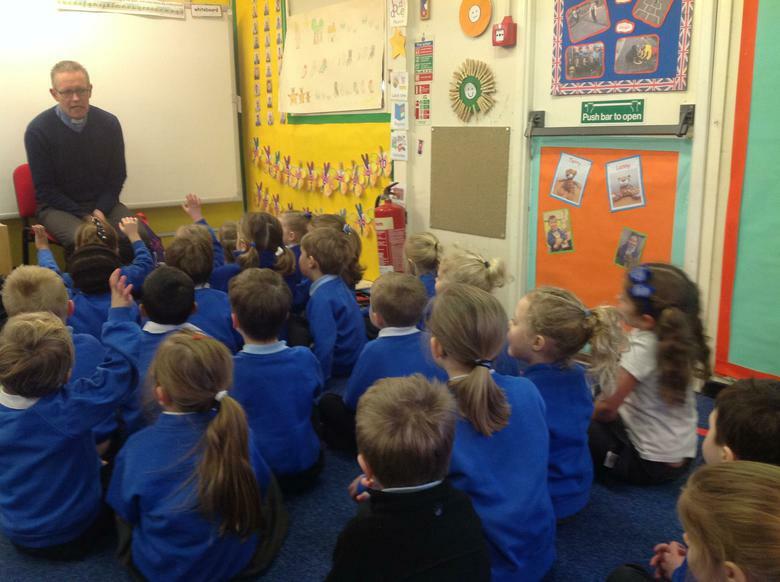 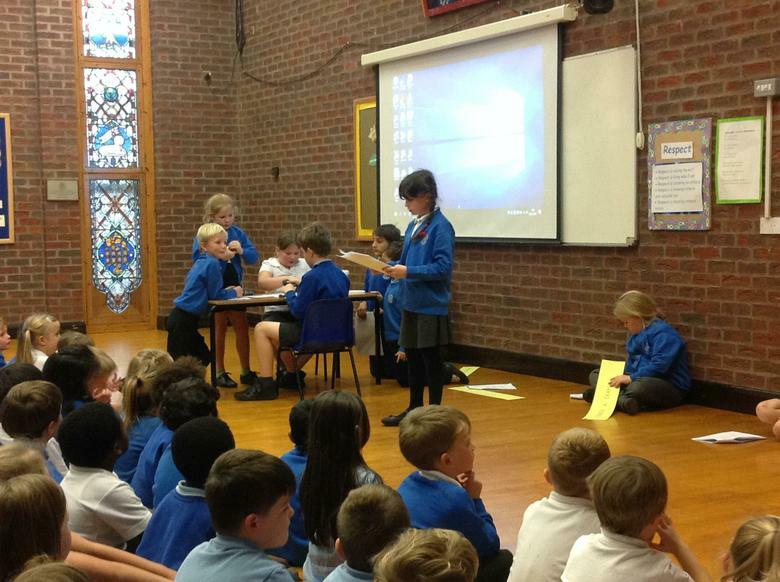 The children were then invited to ask questions they wanted - and they did! 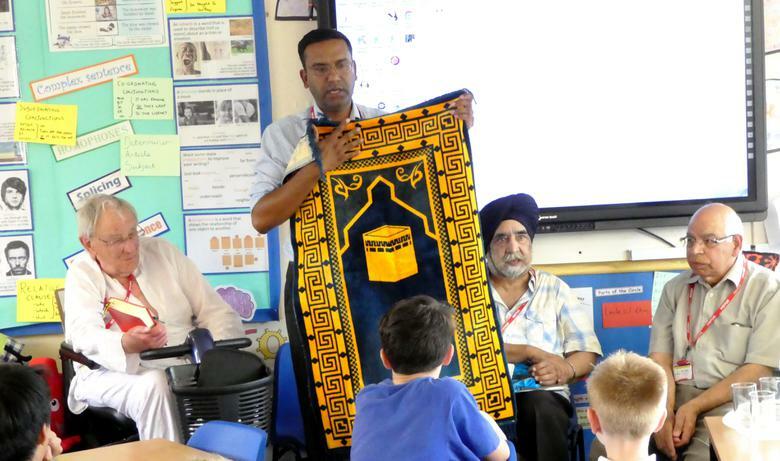 It was a very informative afternoon and was a fantastic opportunity for the children to experience people from very different religious backgrounds coming together to show respect, common values and harmony. 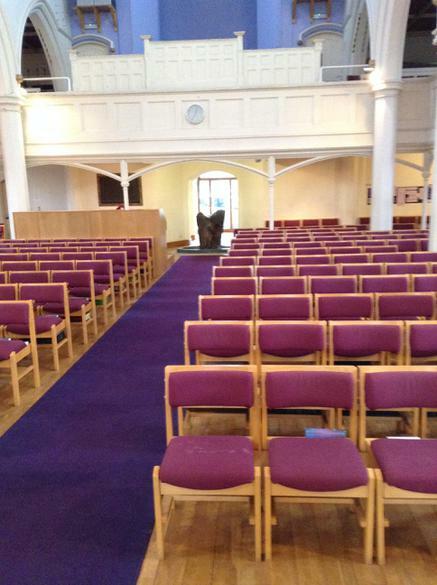 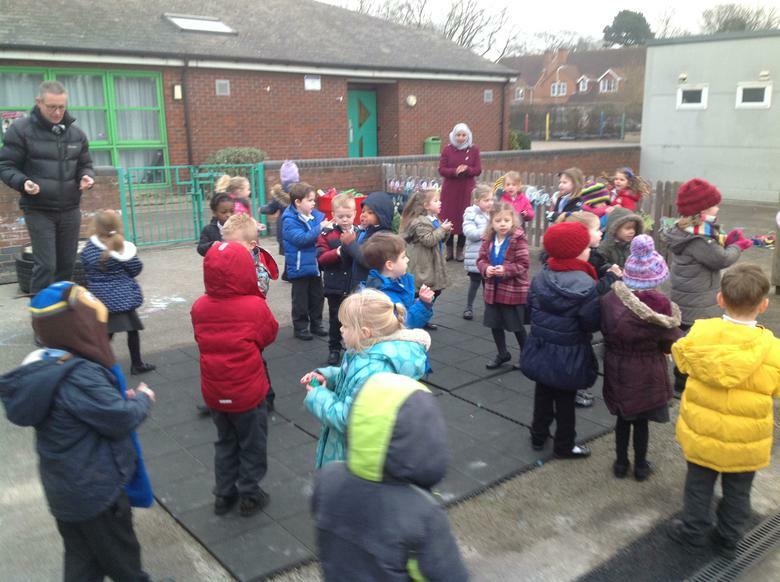 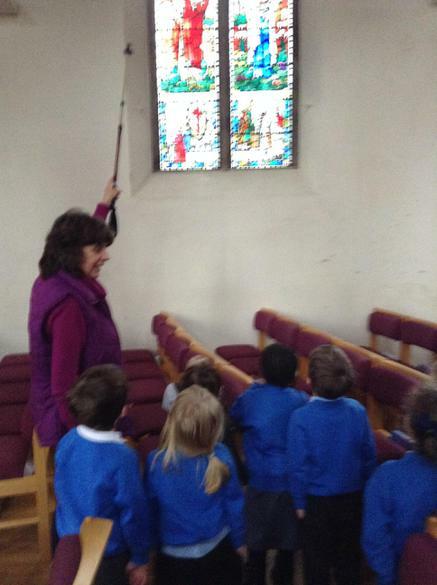 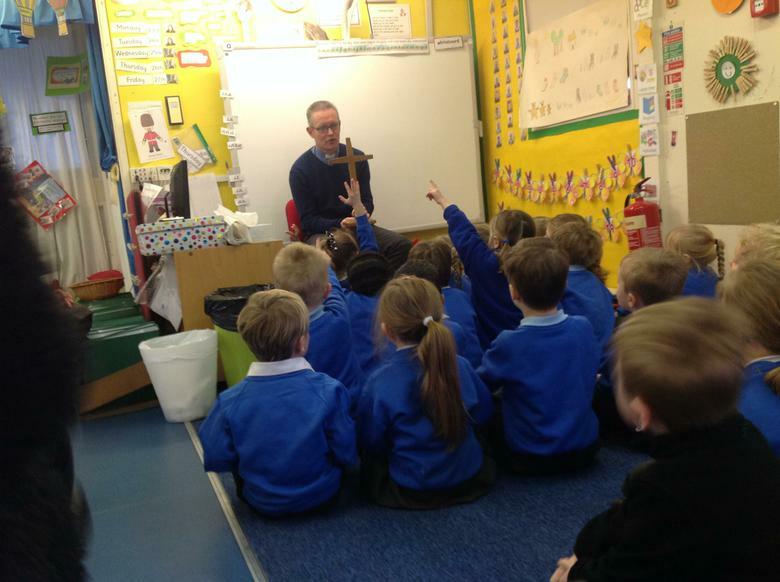 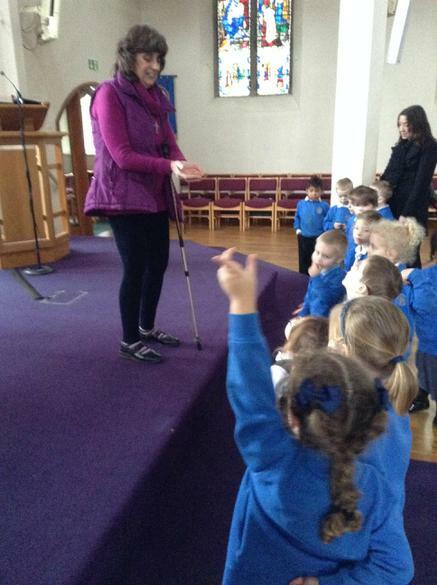 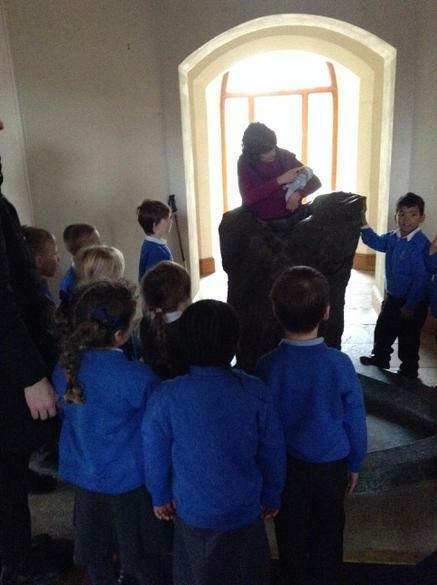 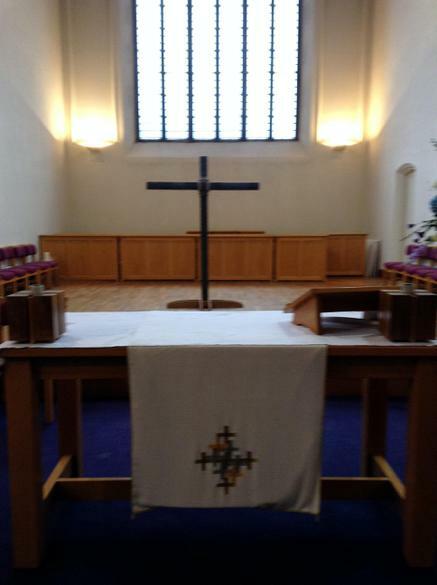 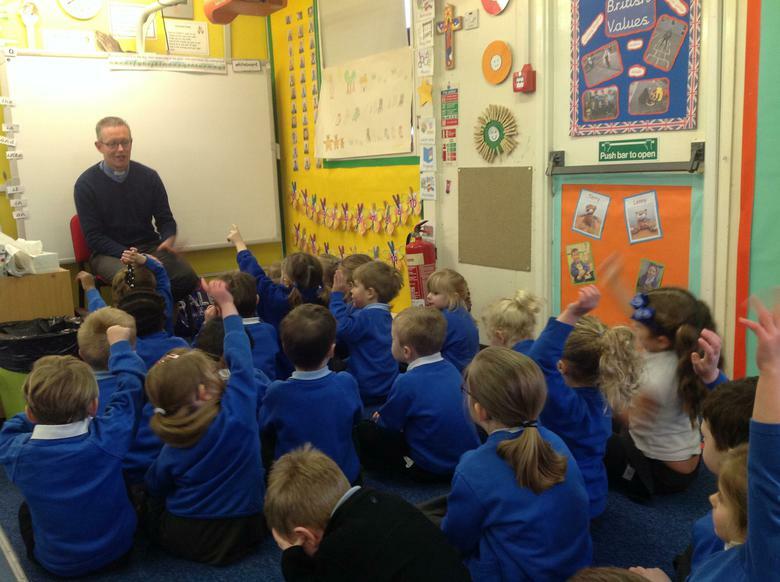 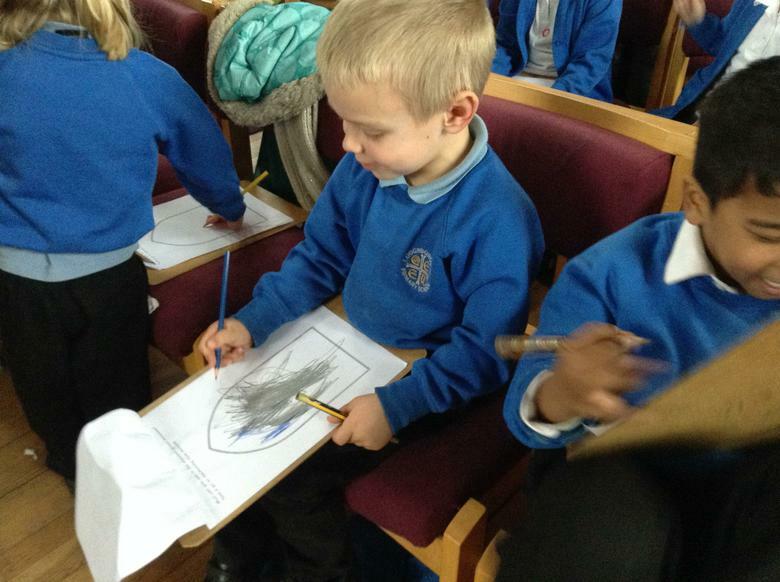 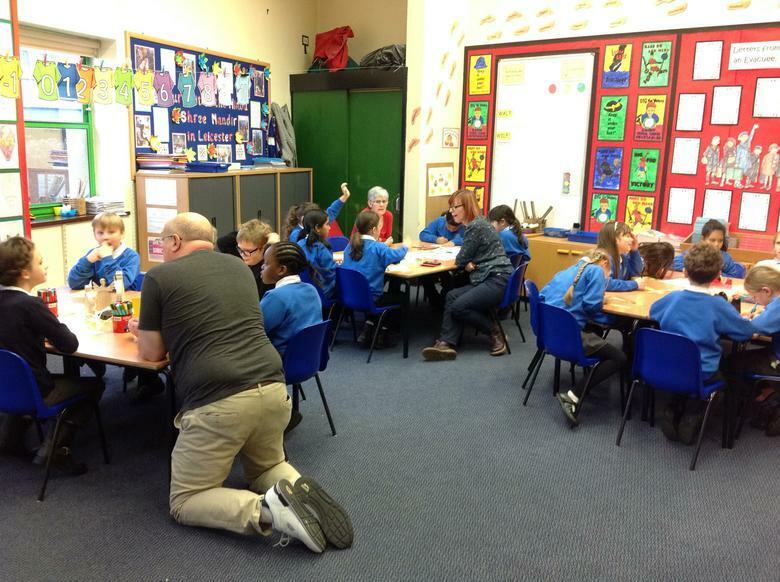 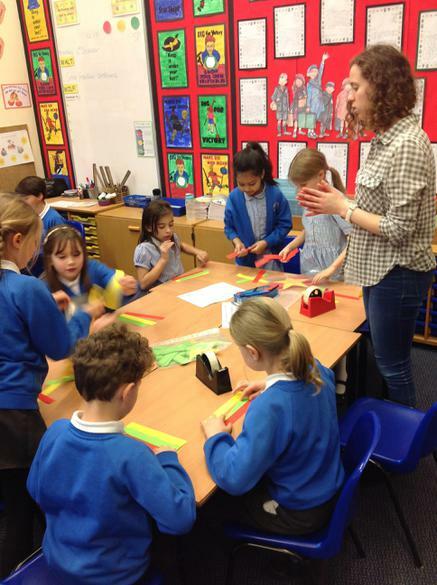 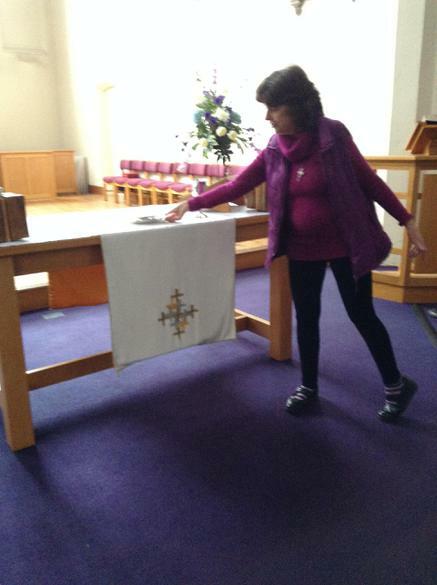 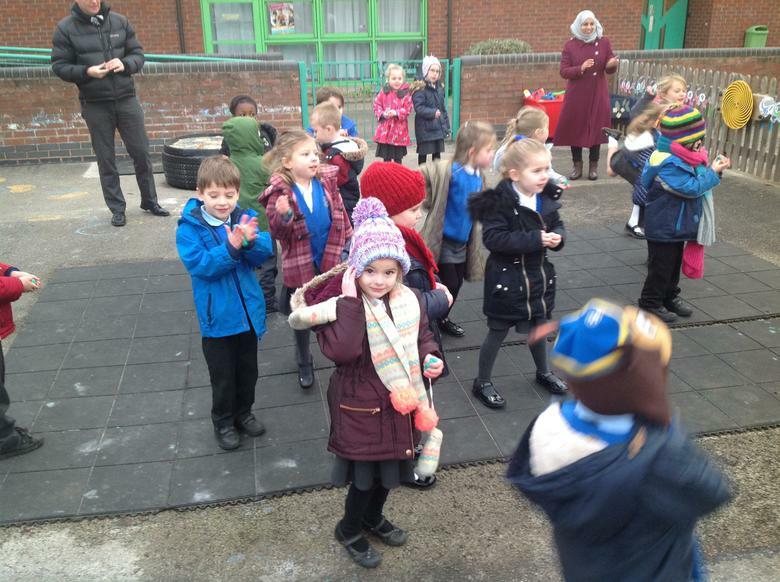 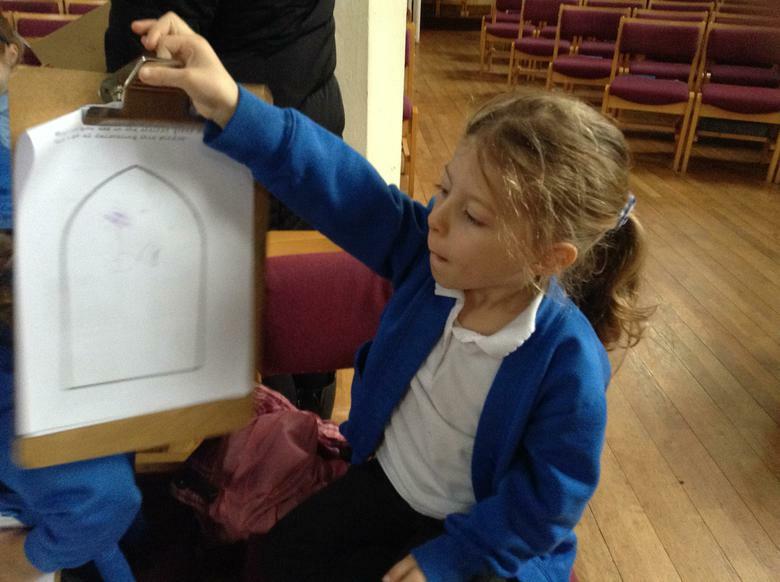 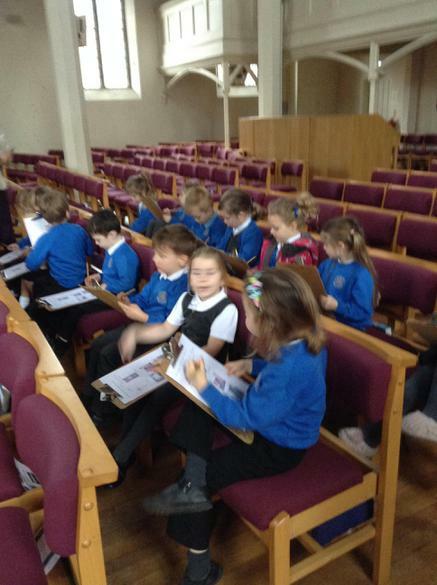 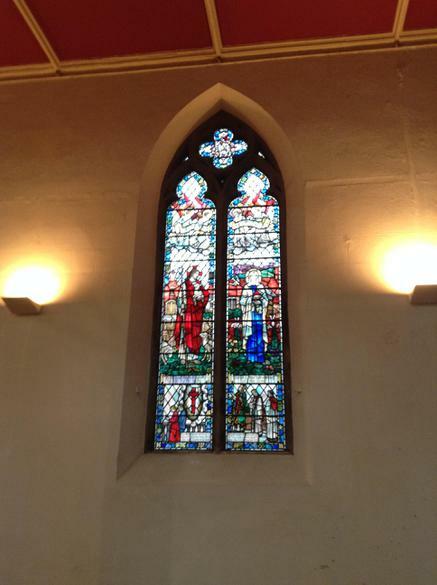 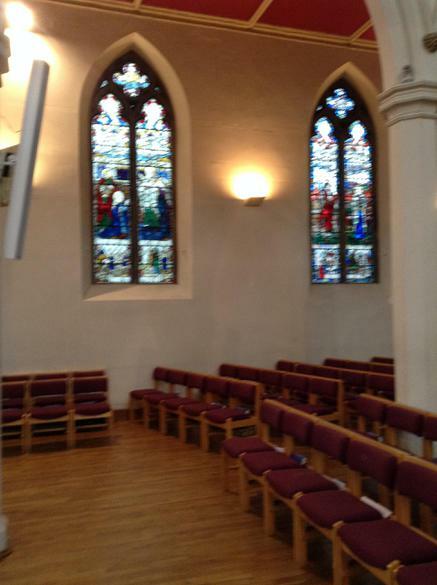 As part of their work about special places, the EYFS class enjoyed a visit to Emmanuel Church on Friday 3rd February. 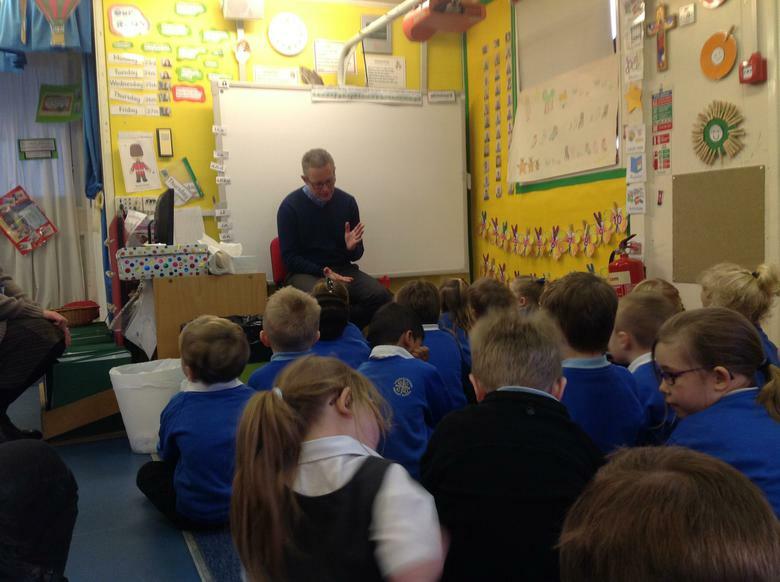 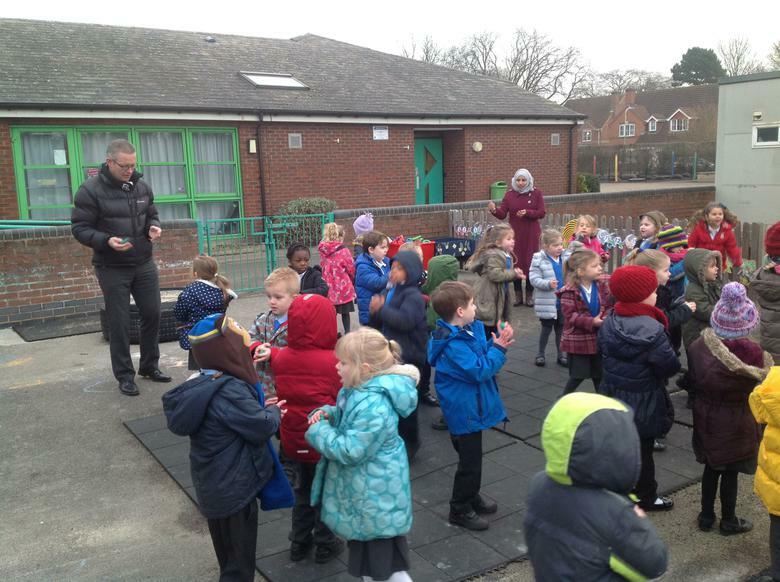 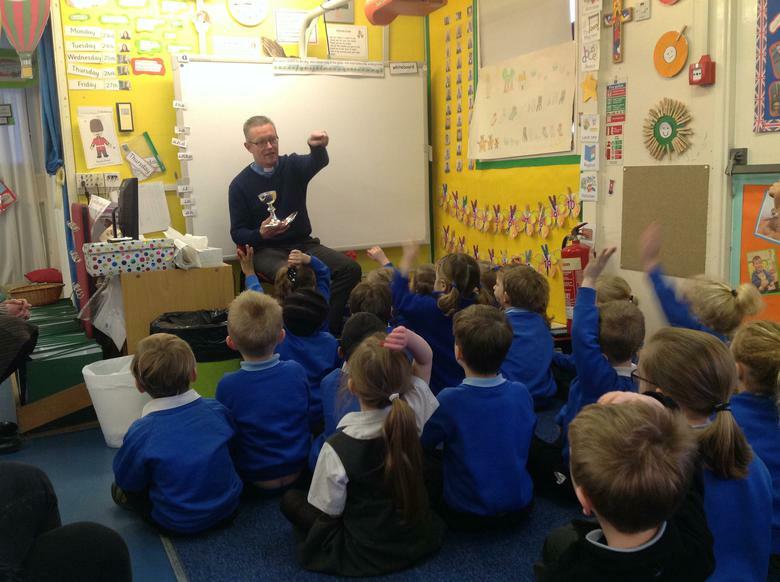 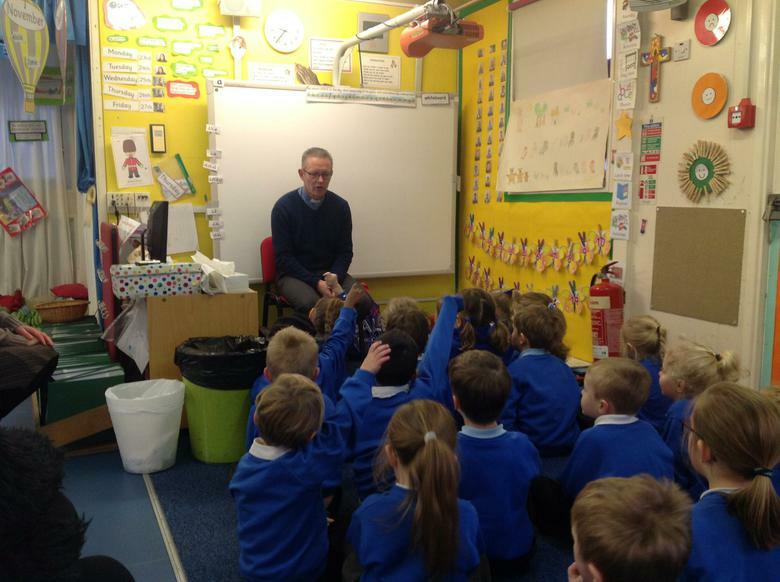 The class also enjoyed it when Reverend Broadley joined the class for a 'Disco Dough' session at school a couple of weeks earlier.